These are both great opportunities for people to get involved in working with some of the best young players within NLD. They will work alongside the Leicester Tigers Developing Player Programme to run the squad which will compete in the RFU County Championship. Job Descriptions are available via the links below. For more information or an informal chat regarding the roles please contact Dan Sutton on 07702 301440. To apply please complete and return the attached application form and return to [email protected] by Friday 12th June. To support the development of the Academy Nottingham Rugby are seeking to appoint specialist skills coaches to support the development of players and provide mentoring support where appropriate. Time commitment will be agreed with individual coaches prior to joining the academy but could be once a month to weekly depending on the coaches availability to supplement the existing coaching team. The development of talented young players (aged 16-20) within NLD and surrounding areas will seek to raise the performance and aspirations of young players giving them the chance to play against other professional academies throughout the season. The skills coaches they seek to recruit should be passionate about the development of young players, understand their personal development and educational commitments. 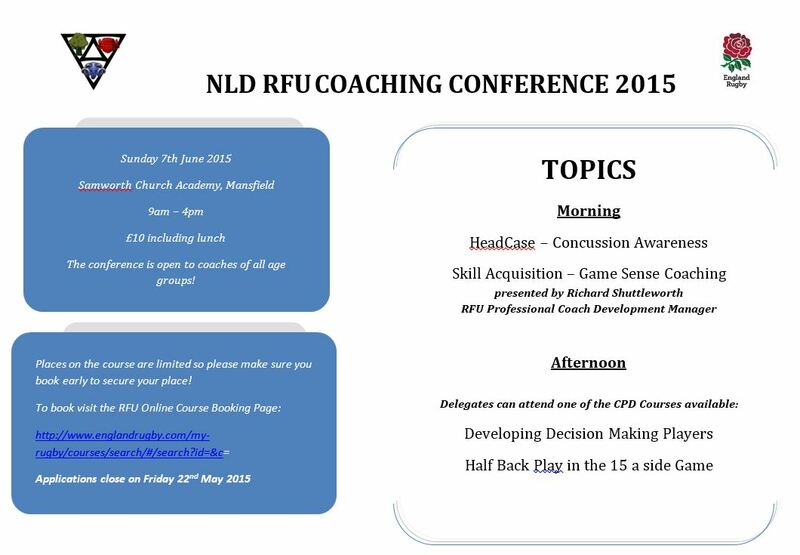 Coaches should ideally be RFU L2 or above or hold Qualified Teacher Status. This is a voluntary post, however appropriate support from Nottingham Rugby will be provided to all coaches within the centre and access to support from Nottingham Rugby’s professional team will be made available. [email protected] or call on 07809705418 for an informal discussion. 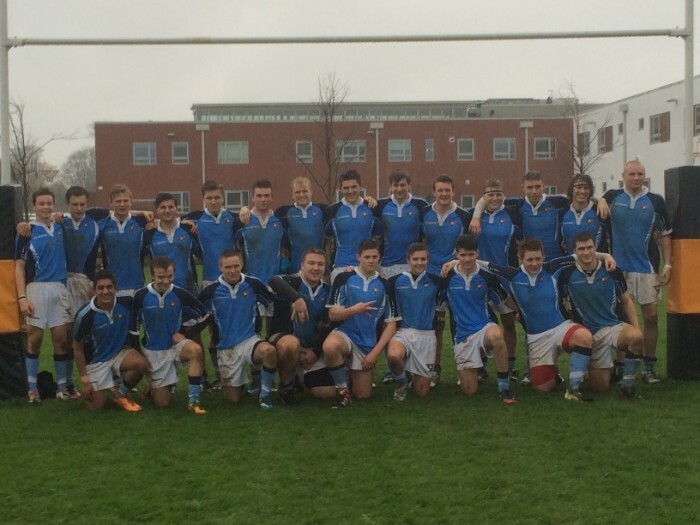 An update on the Nottingham Rugby Academy is available here. There is a coaching opportunity for a Player / Coach who wants to spend at least 2 months in Kolkata and develop our their young squad. The 15’s season starts in June and goes on until September. Arriving May and staying as long as practical. The player / coach will be fed and accommodation provided. The Jungle Crows is a positive and friendly team to work with and does well in their league and age grade rugby. Calcutta 7s with the RAF Spitfires playing is a highlight 27/28 June, as well as the Calcutta Cup! For the 2015-16 season NLD will be running an NLD U15 Girls Development Group to help develop Girls rugby in the area. Working with the NLD U15 Girl’s Head Coach NLD are seeking two appoint two coaches to run the squad. Appointment is initially for 1 year and an RFU Level 2 coaching qualification would be desirable. Communication and feedback to the W&G’s Committee is a must and coaches will also be required to produce regular updates and attend occasional meetings where necessary. Appointment subject to NLD selection process and up to date DBS check. To apply please complete the attached application form and return to [email protected] by Friday 15th May 2015. Keyworth RFC currently run 2 senior teams, the 1st XV will be playing in Midlands 5 East in 2015 – 16 and the 2nd XV will be playing in the Security Plus Pennant. The appointment is for coaching of the senior sides only and funding will be available for the right candidate to progress their coaching career in association with the Club. For more information view the full job description here. There are still spaces available on the forthcoming courses within NLD. Don’t be a Head Case! As part of the RFU’s Head Case campaign, some more online resources have been released to educate and inform coaches, match officials, parents, players, schools and clubs on this important subject. Please take the time to have a look at the RFU’s Head Case webpage via the link below and check out the new education modules that have just been released. England Rugby are now inviting applications for Coaches looking to apply to take their Level 3 & 4 Coaching Awards in 2015-16. Funding is available from NLD for those coaches accepted onto the course, contact the NLD Office for more information. Nottinghamshire Rugby Football Union are hosting a ‘Nottinghamshire Clubs Evening’ at Mansfield RFC on Thursday 19th March. They believe that every club in Nottinghamshire should have equal opportunity to address their needs, this might be the challenges of keeping players playing, developing the standard of coaches or how to plan for the rugby demand around the Rugby World Cup. The evening is an opportunity for your club to better understand Nottinghamshire RFU, be updated about opportunities that will help your club in the coming seasons and also capitalise on the opportunities the Rugby World Cup 2015 will offer your club. Replies should be addressed to Nicole at the NLD office ([email protected]) no later than Friday 13th March with details of who will be attending and which club they will be representing. 2015 offers your club a unique opportunity, we hope that you will join us to find out how. Similar workshops for Lincolnshire and Derbyshire clubs will be running very shortly – details will be posted here in due course.